The above info came from Spazzter, and was edited by yours truly (contact me). The image came from Iruka. 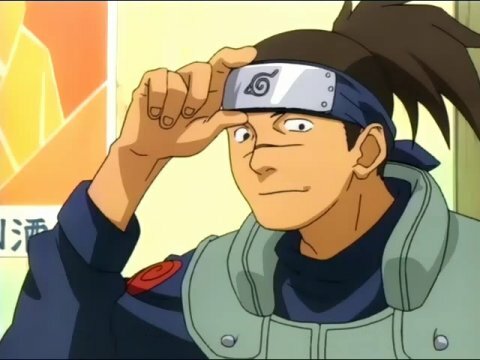 Iruka-sensei is a "Chuunin" (middle-level ninja) who was the apprenticeship instructor of the ninja "cadets" at the village Academy. He and Naruto share the same past, as both of them were neglected by people as they were growing up. Iruka lost his parents to the Nine-Tailed Demon Fox twelve years ago, and after that no one took care of him. Unlike most of the villagers, though, Iruka acknowledges Naruto's existence and accepts him, even though within Naruto is the Demon Fox who killed his parents.